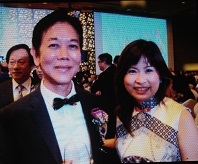 I’m pleased to be present for the celebration of the 84th Anniversary Teochew Poit Ip Huay Kuan at the Mandarin Hotel on 21st September 2013. This event is lead by Mr George Quek’s election as clan’s president. From a humble beginning, George Quek, founder of the BreadTalk Group chain of bakeries, restaurants and foodcourts and has set a good example of how one can strive for success by overcoming all odds. During the event, other than aiming the creating a united Teochew group that will support each other, he also urged those whom have already achieve some level of success in life to contribute back to society. He said that in this way, you will become a person whom is not just successful but will be well respected. 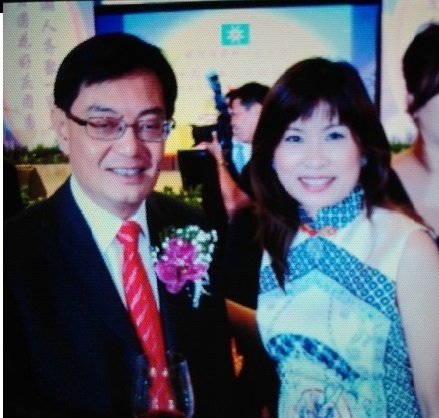 Gracing the event is our Minister for Education Mr Heng Swee Keat whom during his address to the 1000 guests highlighted the importance of families encouraging youngsters to continue to be conversant in English as well as mother tongue. I’m inspired to do more for the society and to continue to pass on the tradition of our mother tongue and dialect. I hope that the message will be well received and that we can see more people stepping up to become leaders and contributors to the economy and community at large, while preserving our traditional roots and language. If you enjoyed this post, please leave a comment OR share this post to your friends using the social media buttons on the the left.